***BMW X1 xDrive28i Sport Utility*** Tech, Cold Weather, Driver Assist, Pano, Org MSRP of $42,815!! 2016 BMW X1 xDrive28i Luxury Crossover... Mediterranean Blue Metallic on Black Interior... 2.0L BMW TwinPower Turbocharged Engine... ALL Wheel Drive... Automatic Transmission... EXCELLENT Condition... Beautiful PAINT... SPOTLESS Interior... Fully LOADED... TECHNOLOGY Package... DRIVER ASSISTANCE Package... COLD WEATHER Package... PANORAMIC Sunroof... HEATED Steering Wheel... 18'' Light Alloys Y-Spoke Wheels... M Sport Suspension... POWER Tailgate... Brushed Aluminum Trim... Black Kidney Grilles and much more!! 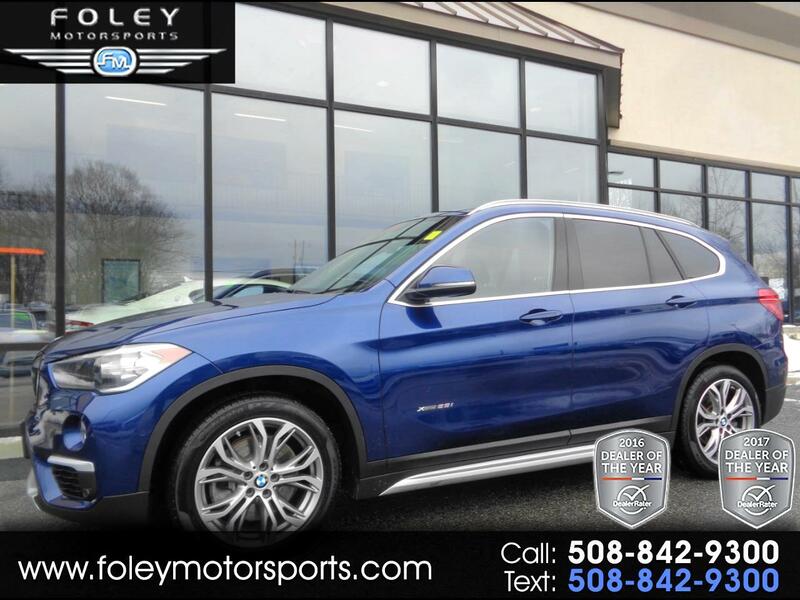 Drive this X1 home today for a fraction of its ***ORIGINAL Sticker MSRP of $42,815*** CAR FAX Certified 1-OWNER Vehcile with BMW Bumper to Bumper Warranty Coverage Included!! Please feel free to contact our experienced sales team with ANY questions or to schedule a test drive. Buy with confidence from the area LEADER in Pre-Owned LUXURY. Additional 5 Year/100K Extended Warranty Coverage Available. ALL of our vehicles are meticulously detailed and serviced by our factory trained certified technicians. Call or email us at sales@rjfoley.com **$0 Down** 100% financing available with great rates! Trades are always welcome. National and International shipping quotes are available.